The partnership will see Gaana.com air Mirchi Murga and Hansi Ke Phuwarey, Radio Mirchi's two most popular shows. Gaana.com, an online music broadcasting app, is expanding its mix of unique and exclusive audio content by adding Mirchi Murga and Hansi ke Phuwarey, two of Radio Mirchi's most popular humour shows. Mirchi Murga with RJ Naved is Radio Mirchi's most popular comedy segment. In addition, Hansi Ke Phuwarey with Sud by comic Sunil Grover is a very popular series known for its deadpan humour. The latter has Sudarshan aka Sud read out jokes from a book with the same title (HKP). A new joke will be released every day on Gaana.com to build a daily listening habit. 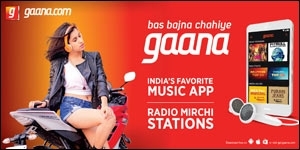 The two programmes are now live on Gaana.com, and along with Radio Mirchi, intend to add more original content soon. The offerings will also be promoted across Radio Mirchi's 44 radio stations in India. 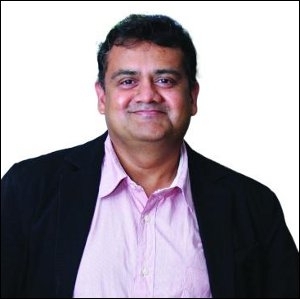 Commenting on the association, Prashan Agarwal, chief operating officer, Gaana.com, says in a press release, "Radio Mirchi's humour content is some of the best out there, and we're excited to share it with our consumer base. Gaana is becoming a home for all premium audio content, with millions of listeners starting with music, and finding more and more everyday on the platform." Giving his views on the association, Prashant Pandey, managing director and chief executive officer, ENIL (Radio Mirchi), says in a press release, "Mirchi has created some very good on-air personalities, and in digital media, with its RJs. We are happy to have this partnership with Gaana, where Mirchi's prank calls can now be heard by its global fan base. We expect as much consumption to come from outside India, as from within the country."